Colombians love a good burger: there’s a strong meat industry in the country, and being a vegetarian is not especially common! There seems to be a burger joint in every town in the country, no matter how small. However, some burger places are better than others, and the Colombian capital of Bogota has some particularly excellent options for burger lovers. 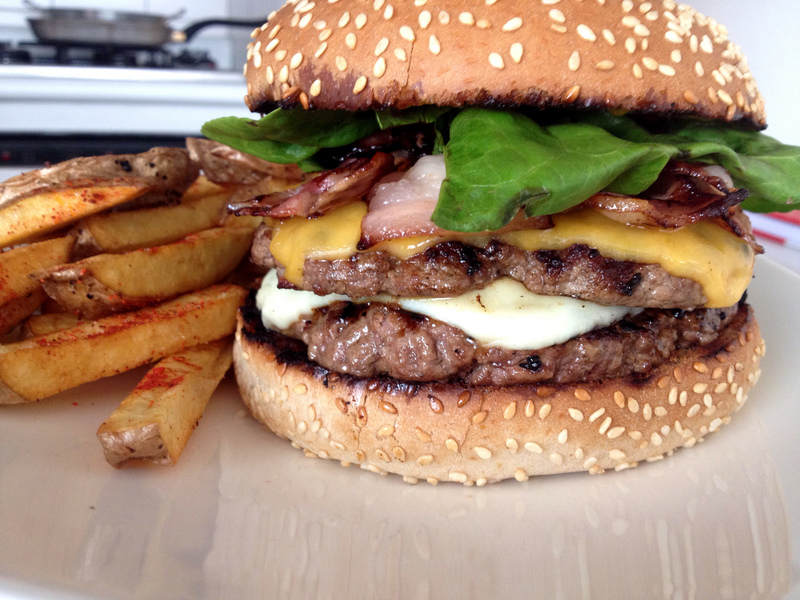 Here are the best of Bogota’s burger joints. Home Burgers is the burger joint everyone’s talking about in Bogota right now. It’s a local chain, with four locations at the moment, and surely more on the way. Their concept of ‘fast-casual’ burgers – made from local and premium ingredients, without costing a fortune – has been a real hit in burger-loving Bogota, and the restaurants have a pleasant and relaxed vibe, with a simple rustic design. There are no over-the-top burgers at Home Burgers; clients can choose from a single, double, or veggie burger and then add cheese, bacon, onions, or pickles. Home Burgers is the best spot in Bogota for a simple burger done well. Possibly Colombia’s largest and most popular restaurant chain, El Corral – and the more upmarket, restaurant-like El Corral Gourmet – has over 200 locations in the country and is basically the Colombian version of Burger King. The big difference is that El Corral uses much better quality meat than most fast-food burger chains, and the result is a delicious burger for those in a rush. The Gourmet restaurants serve a much larger variety of speciality burgers, complete with a number of different and imaginative toppings and sides. The hipster burger joint of choice in Bogota and modelled after a Brooklyn bar, Gordo is a relaxed restaurant in the stylish Chapinero Alto neighbourhood. Named after the owner’s French Bulldog – who appears on the logo – Gordo has excellent food and great beers and cocktails. But their real speciality is their excellent burger: served on a fresh brioche bun, and garnished simply with cheese, bacon, lettuce, and tomato, it’s a real winner. Gordo is definitely the best place in Bogota to enjoy a burger-beer combo. The kings of the comfort-food burger, Agadón is regularly voted one of the best burger joints in Bogota, and with good reason. With over 10 burger options – including the mouth-watering Chipotle Burger and the gourmet Steak House Burger – as well as a variety of other food options, Agadón only serves burgers made from aged ground rib-eye beef, and all of their buns are baked fresh on a daily basis. The result is an absolutely delicious hamburger (and their veggie burger option is one of the city’s best as well). An American-style tavern, Ugly American Bar & Grill is the place to go if you’re from the States and missing those home comforts. Even if you aren’t, then you can’t go far wrong with their excellent menu of food and cocktails. The real treat, though, is their burgers: the Ugly American Burger and Fat Kid Cheeseburger are both absolutely fantastic. Made with both imported and local Angus beef, and featuring delicious additions such as caramelised onions, provolone cheese, potato buns, and romaine lettuce, they don’t come cheap, but they are worth the money! Another Bogota chain eatery serving up burgers, La Hamburguesería began life as one little burger restaurant in the foodie neighbourhood of La Macarena. There’s a reason that it has become one of the most popular restaurant chains in Bogota, though: the quality of the burgers is outstanding. Their iconic ‘Juicy Lucy’ burger has become something of a right of passage for Bogota burger lovers; a giant juicy burger stuffed with local Paipa cheese, it’s a cheeseburger with a difference! Throw in live jazz and blues music, and this burger restaurant is sure to win over even the pickiest burger connoisseur. This popular Bogota burger joint chain is a throwback to ‘classic’ diner-style hamburgers, served McDonalds’ style wrapped in grease-paper with thin fries but made from excellent quality meat. They are also famous for their delicious malted milkshakes. A simple cheeseburger with pickles and a malted shake will have any customer nostalgic for the 50s diner of their imagination! Sierra Nevada has locations all over Bogota and offers delivery service as well.